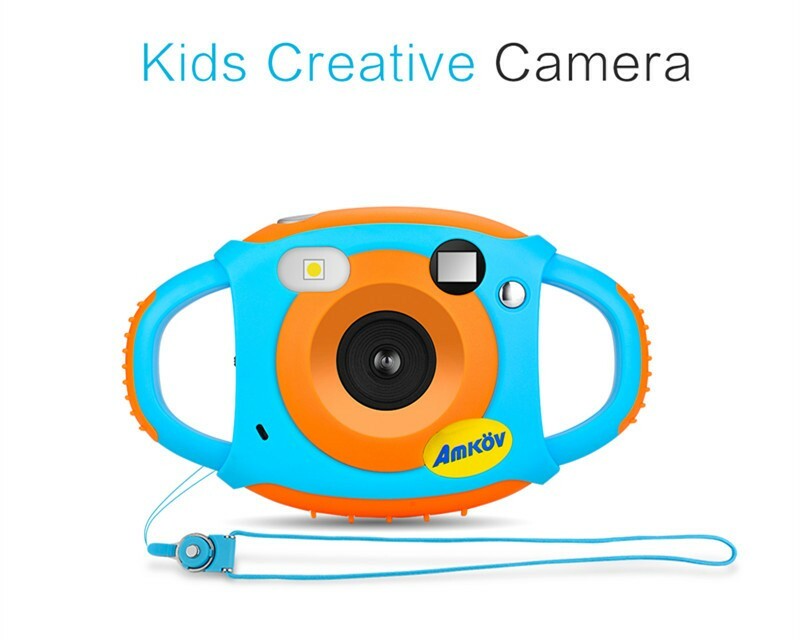 5MP 1080P Durable Cute Creative Kids Camera-AMKOV Official Website - Kids Camera, Digital Zoom Camera,Optical Zoom Camera etc. 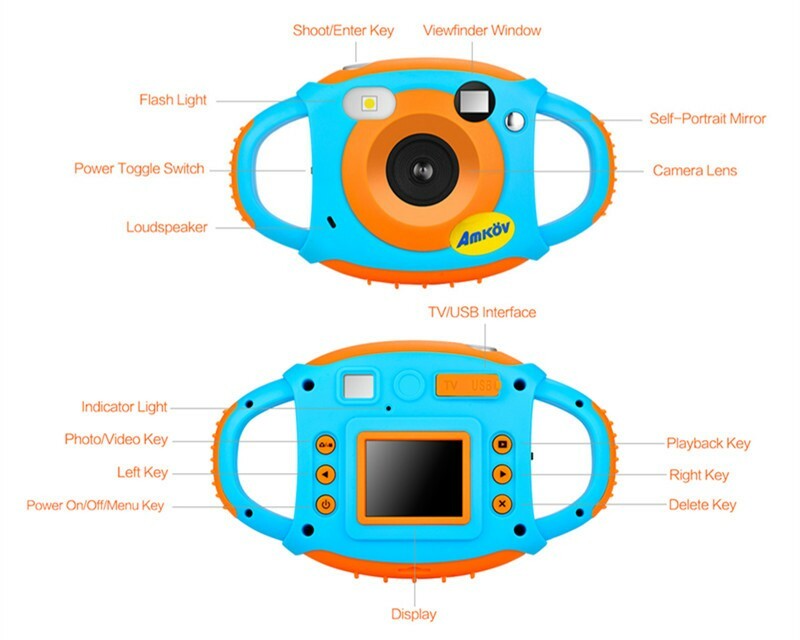 CDFP is the first and best seller kids camera of AMKOV so far. At the beginning, we designed it to use Alkaline battery and with 1.44 inch screen. While after receiving some feedbacks and going through feedback of other kids camera from the internet, we decided to change it and now it improved to be with a larger 1.77 inch screen and with 600mAh rechargebale lithium battery built-in, which can also be charged by power bank. The camera is very durable as it is well designed at both outside and inside. From the outside, you can see that it has two handles, not only for kids to hold it better but also shock proof. 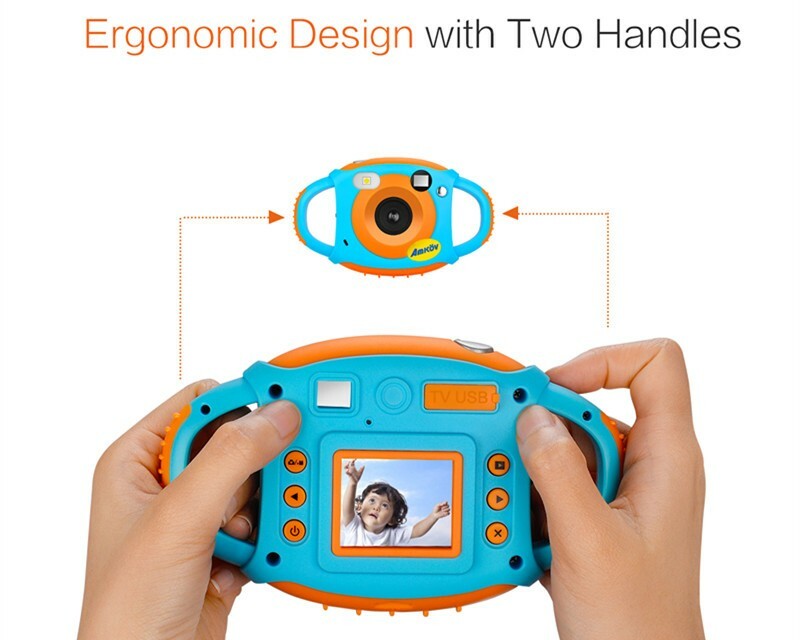 Besides, shock resistance silicone material are used at 6 sides of the kids camera. What's more, the inside structure of this camera is orgnaized well and the PCB is stuck in it so that it is stable and working well even fall from 2 meters high. 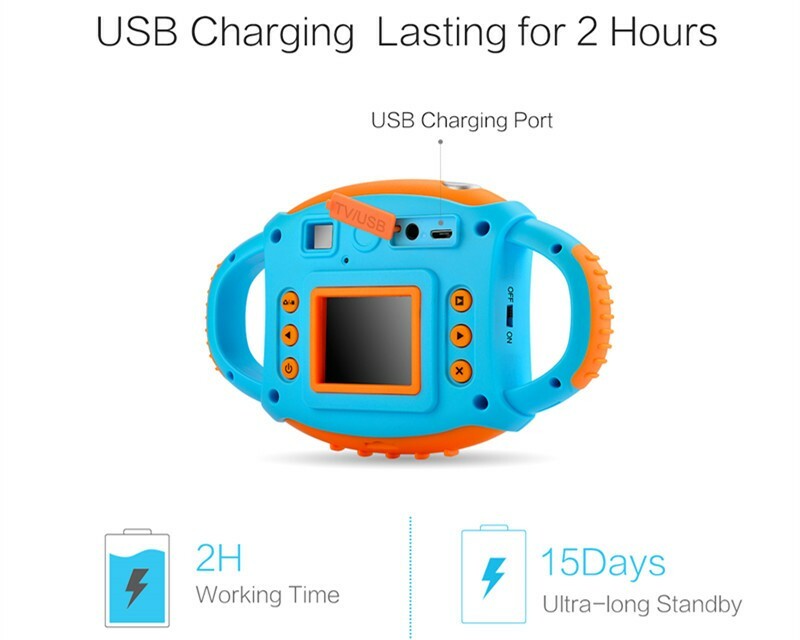 Aside from its rechargeble battery and durable, CDFP kids camera support interpolated 1080P and real 720P video recording and can shoot photo at 5MP(interpolated). 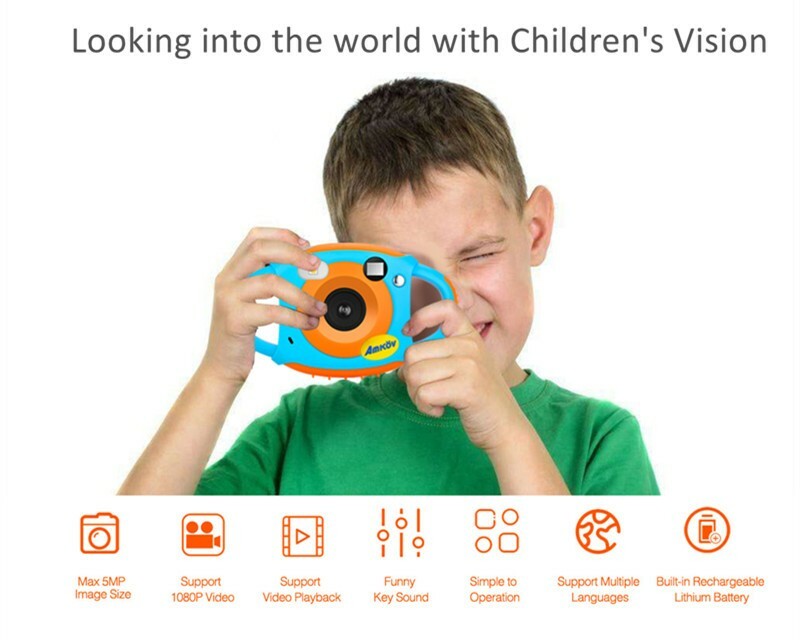 It has 12 languages in it, and can flash just like a digital camera. And it can be powered off automatically if without operation for 5min to save power. 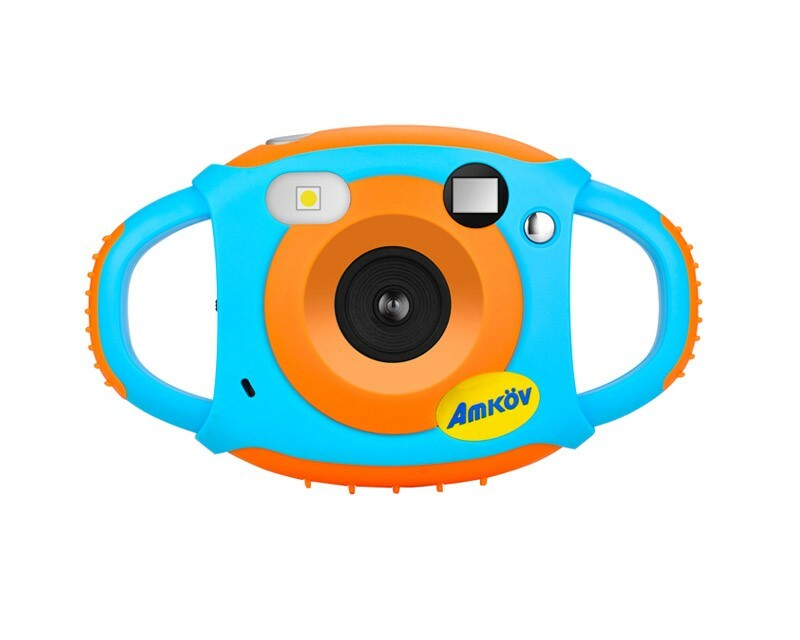 With a kids camara, parent no need to worry that their cellphone will be broken by their kids when taking photos. 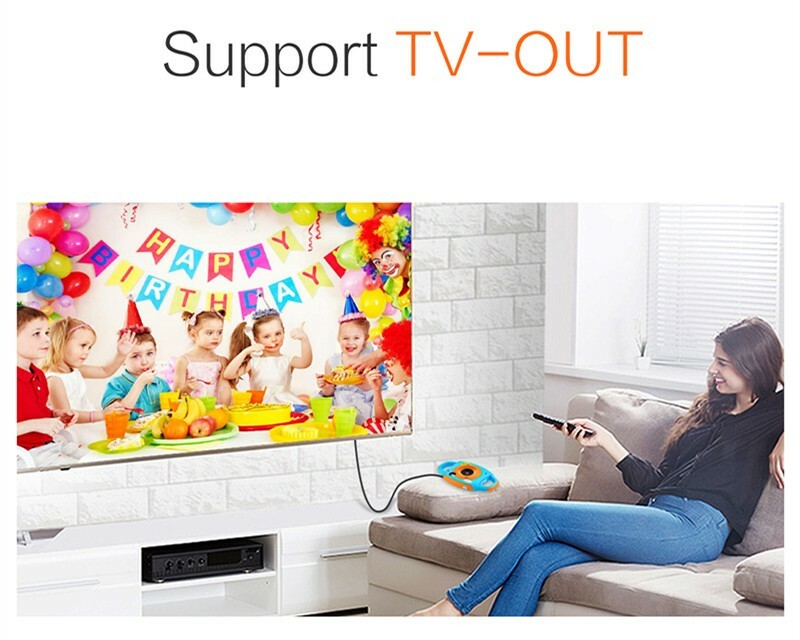 And with it, kids could record their daily life and growth by their own and shoot video diary for themselves. In this video, you will find the function of the keys and the specification of the camera and some funny functions in it. If you want to know more instructions or have advices, just leave your comment below or contact us.